EDINBURG — Two agents with the Starr County Special Crimes Unit graduated from a horse patrol certification course, bringing local search and rescue services to Starr County for the first time. Those services are available through state agencies and U.S. Border Patrol, said Robert Caples, commander of the Special Crimes Unit. But the SCU wanted to be able to provide those services themselves. 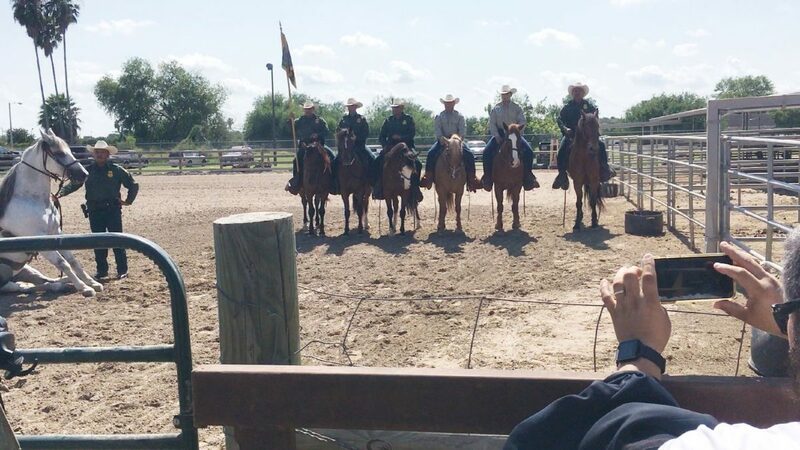 The course was conducted by the Border Patrol RGV Sector’s Horse Patrol Unit in conjunction with the Texas Department of Public Safety. With the agents’ completion of the program, the SCU is looking into adopting wild mustangs for those search-and-rescues, Caples said. The horses are used for search-and-rescue operations because it allows the agents to be at a higher level where they can see a lot farther than they would standing on the ground, one agent explained. The horses are also able to cover more ground than people on foot. Throughout the four-week course, they trained in moving the horse correctly and in way that was comfortable for the animal, the same agent said, describing the experience as difficult and exhausting.